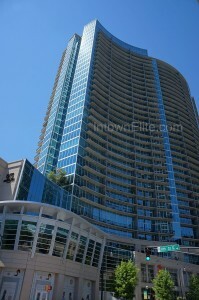 Completed in 2008, 1010 Midtown is one of the newest additions to the Midtown Atlanta condo market. It's also one of the most uniquely attractive buildings, a 35-story high-rise built with a curve which mirrors that of Peachtree Street on which it fronts. This curve also means that more of its 433 units get unobstructed views of the Atlanta skyline. Amenities are what you'd expect from a condo of this caliber, 24-hour concierge, private, secure parking, keyless building access, state-of-the art fitness center and more. Residents also enjoy a "Park in the sky" with a swimming pool, cabanas and gardens. 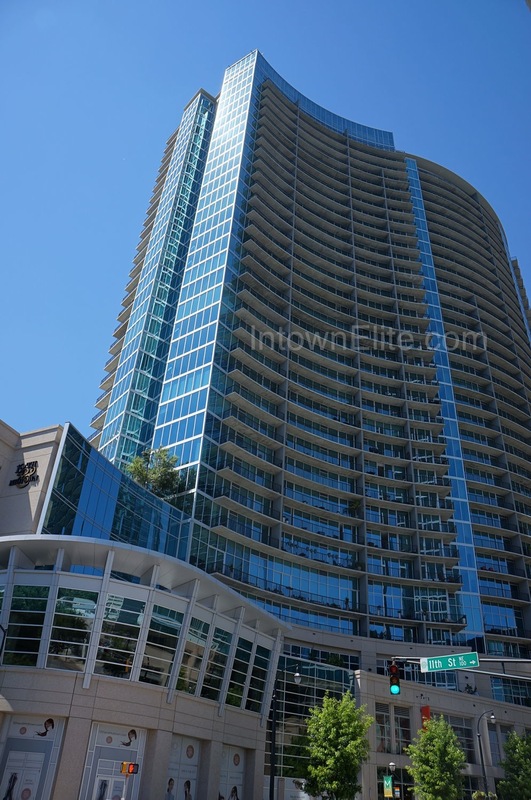 But one of the best features has to be its central location, steps from everything Midtown has to offer, in addition to it's own ground floor retail and restaurants.